Dragon Quest Heroes II is overall an improvement of the original and one of the better Warriors style games on the market. Dragon Quest and Dynasty Warriors seems like an odd combination, but the team behind these games shows that it works and hopefully this is not the last we hear of Dragon Quest Heroes. 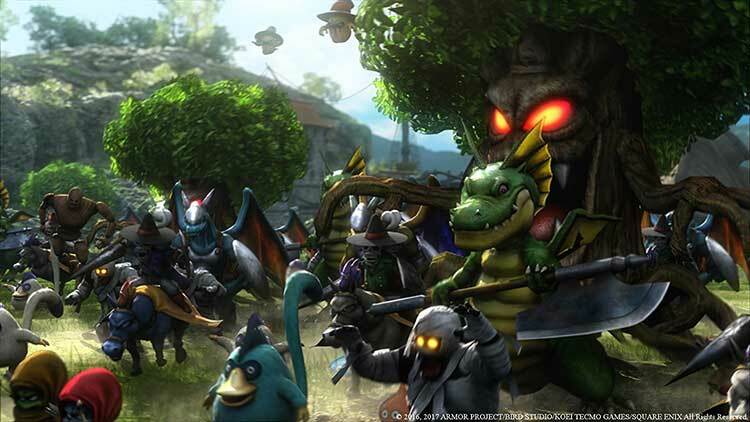 Dragon Quest Heroes 2 feels like a step forward in some ways, but a step back in others. The new additions to combat are nice, but the attempts to bring more RPG elements to the story missions don’t always work out for the best – at worst, they wind up transforming an enjoyable action game into a boring slog. At least it shows that Omega Force is willing to try new things with their long-established formula. Let’s hope that their experiments go a little better next time. For all its shortcomings, Dragon Quest Heroes II ends up a perfectly adequate beat-em-up. I encountered few surprises during my playthrough, but the simple fun of being a single soldier against an army of colorful Dragon Quest baddies is undeniable. I still prefer the original Dragon Quest Heroes, but this sequel continues to inspire confidence in Omega Force as it continues to experiment with its brand of action. Dragon Quest Heroes II is a solid sequel to a refreshing take on the musou genre. I love that Omega Force has been expanding on the style for a while now. These themed entries are often much more interesting than the standard ‘Warriors’ games. Still, some of the changes feel not for the best, and the combat started to drag on the longer I played. I was expecting some of the on-paper enhancements to impact me more, but Dragon Quest Heroes II isn't a stark improvement. It is better though, so if you wanted to get in on the first quest and missed out, you may as well skip it and jump in here -- you won't be missing a whole lot. Dragon Quest Heroes 2 is undoubtedly a commendable follow-up to its predecessor even though it feels more than a little bit samey at times. 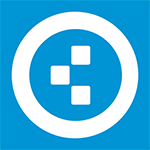 Issues such as an inadequate lock-on system mildly annoy, and the gameplay cycle is frequently on the brink of becoming overly repetitive, but there’s still a lot of fun to be had, especially if you’re an ardent fan of the Dragon Quest or Dynasty Warriors franchises. Much like its predecessor, Dragon Quest Heroes II isn't short of opportunities for high-volume slaughter while effectively preserving the charm of Dragon Quest. Omega Force's thoughtful mix of familiar Dragon Quest Heroes designs and new features not only makes this sequel engrossing, but it also shows this side series' potential for future installments. 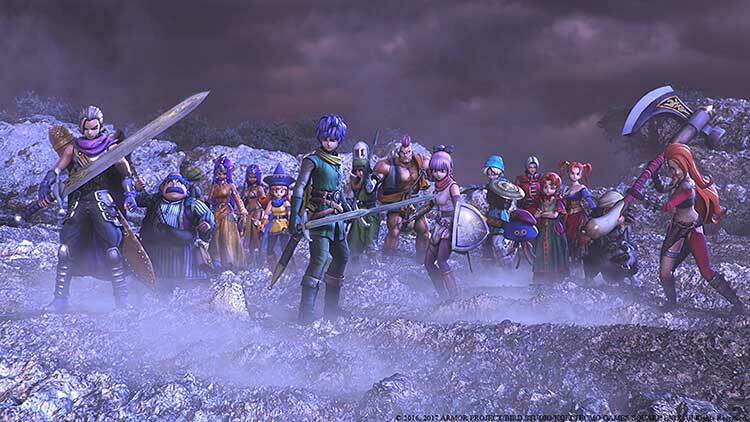 It makes for a satisfying hack-and-slasher that is not only a great Warriors spinoff, but also an effective gateway to the main Dragon Quest series. What stands out to me is how all of the new elements and tweaked versions of older elements combine together to create something that, in many ways, feels less like a Warriors game and more like a proper Action-RPG. It's almost as if the team had ambitions of moving in that direction, but felt unsure about pulling too far from its roots. Who knows if we'll ever see a third game that will go all-in on that approach, but what we've been given here is a decidedly fun, if flawed, Dragon Quest adventure. Moving away from the more strict mission based structure, players now get to travel across the lands of the seven kingdoms in-between the smoother than ever large scale battles. 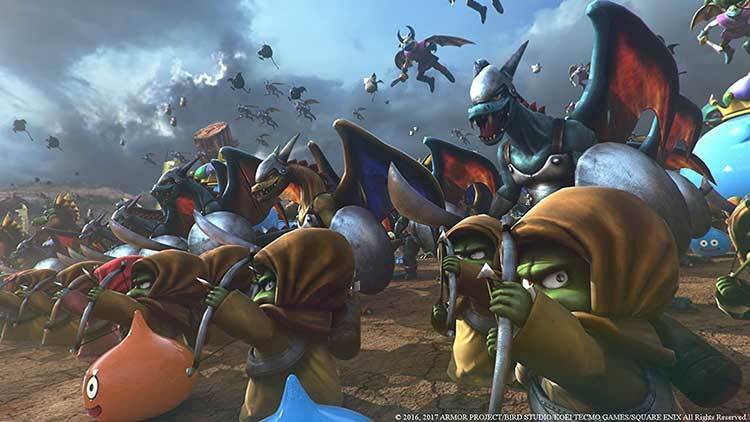 As with any musou game, the combat will get repetitive at times, but there is no question that Dragon Quest Heroes 2 is a bigger and better followup to the original that continues to be a love letter to the Dragon Quest fandom. Dragon Quest Heroes II is an hack-and-slash Dynasty Warriors clone that’s laced with appreciated RPG flavoring. A must for any Dragon Quest fan, and a nice starter to those who aren’t into this kind of genre. Dragon Quest Heroes II attempts to build upon the original in some smart ways, but the execution ends up being rather messy. The connected world doesn’t provide the player with a living, breathing world to explore, but rather it’s reminiscent of a diorama. One that attempts to fool the player into not seeing how shallow and lifeless things are outside of its walls. It’s a fun, but flawed, follow-up. One that ultimately feels like a tease, as it adds a few much-needed improvements, but not enough to push it over the edge. The Dragon Quest Heroes series is an ambitious undertaking. Blending arcade-style action with RPG elements is a tricky balance, one that Heroes 2 doesn’t always manage to maintain.While it might bite off a bit more than it can chew, the end result is still good frantic fun. If you’re hungry for more Musou action, a Dragon Quest fan, or both, you can’t go wrong with this game. Dragon Quest Heroes II is exactly the kind of game that, one year from now, I won’t even remember playing. It’s entertaining enough, but in spite of that it never quite finds its stride. Each of its highest moments come with the knowledge of what the game is grasping towards but can’t quite reach, both as an RPG and as a Warriors game. Dragon Quest Heroes II Review -- A Much Bigger Adventure Than Expected Developer Omega Force is truly a force to be wrecked with. The Japanese developer has not only continued a franchise, Dynasty Warriors, for 20 years, but they have found ways to bring their hack-n-slash formula to other notable series. Dragon Quest Heroes II fits in perfectly with the other entries in the Dragon Quest series, only with a splash of that musou battle system. Dragon Quest Heroes II is exactly what a spin-off should be. 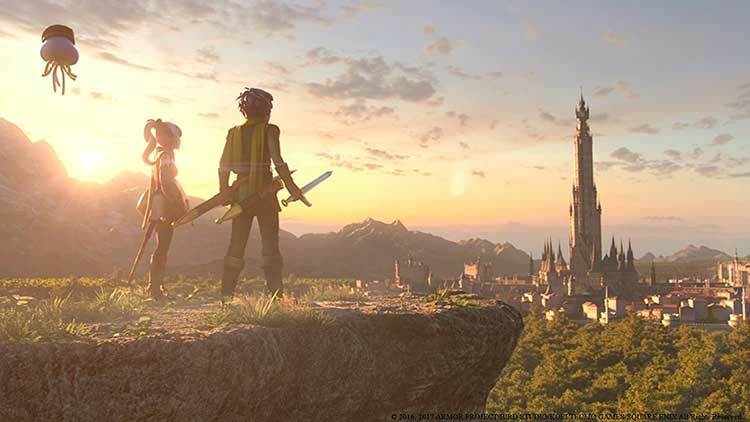 It appreciates and honors what makes a Dragon Quest game distinct from other JRPGs, while still offering something different than the main series. The gameplay is exhilarating, using over-the-top animations and simple controls to keep you engaged in every battle. The amount of content, while no Dragon Quest VII, is certainly enough to get your money’s worth. Dragon Quest Heroes 2 is undoubtedly a step in the right direction, but it doesn’t feel like a big enough leap. There are minor gameplay improvements that result in a more unique and refined experience, but at it’s core the game is still struggling to pull itself away from the Dynasty Warriors series. Fans of the series will find much and more to keep them happy across the 25-hour or so story, and there's plenty to do post-game to keep this alive. There are some slight issues and flaws, but overall a fantastic game. With no Western release yet announced, this review is of the Japanese language version and a decent grasp of the language is required here. Overall Dragon Quest Heroes II is a noticeable improvement over the first, and Musou fans will find it a joy to play. The game's co-op portion is good when it works, but is hindered by a few problems, and although the main antagonist is forgettable, the story as a whole isn't and is better than that of its predecessor. The game almost plays like a proper action role-player now, with open world areas, switchable classes, and increased gameplay variety. 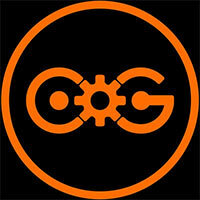 Four-player co-op is very welcome, if awkward to use. Highly repetitive in most of the usual Dynasty Warriors ways, including the brain-dead combat and non-existent artificial intelligence. Highly simplistic and cliched mission design. 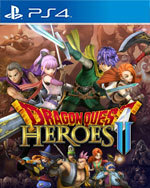 Dragon Quest Heroes II is an enjoyable hack and slash sequel with a great array of characters and enemies. It continues on the good work of the first title in conjuring the feel of the Dragon Quest series, but it’s still just a Musou title underneath it all with all the repetitive combat that entails. While the RPG elements add a nice level of customisation, it can all feel a little too prescribed to be truly enthralling. Despite some pacing issues near the end of the game, Dragon Quest Heroes II takes what its predecessor did right and builds upon it in positive ways. Its open world design is definitely a step in the right direction, as is its more prominent narrative and larger cast of colourful characters. Meanwhile, combat remains fun and satisfying, and a sprinkling of new systems add some welcome depth. Dragon Quest Heroes II is exactly what a sequel should be. Despite the lack of character development and the occasional forced grind for gear, Dragon Quest Heroes II is a monstrously fun and childish game that will appeal to both grown-ups and children alike. It’s witty script and adorable looking characters makes the game enjoyable to play throughout plus the sheer size of the customisable skill trees will keep Dynasty Warriors fans happy. Dragon Quest Heroes II es una secuela mucho más grande, completa, variada y divertida que su primera parte, ofreciéndonos más de todo y novedades muy interesantes y bien recibidas en su estructura y diseño, sabiendo combinar perfectamente toda la esencia y encanto de una saga tan mágica y querida con Dragon Quest con la acción más espectacular y masiva. Si no pudiste jugar el primer Dragon Quest Heroes o incluso nunca has probado un título de tipo Musou, entonces DQHII podría convertirse en una increíble oportunidad para que te adentres a los mismos. Que no te engañe el hecho de que está basado en una serie como Dragon Quest que posiblemente te sea ajena, éste cuenta con todo lo necesario para entretenerte y hasta para volverte fan tanto del género como de la icónica franquicia de los Slimes. Los cambios tanto en la base jugable, que ofrece una mayor libertad de acción con ese estilo característico Action RPG, como en el desarrollo del juego ofreciendo una mayor libertad y un equilibrio en cuanto a los objetivos de las misiones además de un plantel de personajes, tanto principales como los invitados de entregas de la saga principal, dejan un conjunto global satisfactorio y que dará para bastante horas de juego tanto por su contenido base como por el multijugador como con el "post game". Dragon Quest Heroes II es un juego entretenido que hará que pases horas y horas jugando para completar la historia. Al contrario que en el primero, los mapas son bastante amplios y tienen zonas desbloqueables por los distintos héroes que se irán uniendo a tu aventura, lo que apreciamos enormemente. Nosotros hemos disfrutado mucho de este juego y aún nos queda bastante por descubrir. La música y los escenarios son increíbles y el juego tiene una historia que te anima a descubrir más sobre ella. Un divertido Musou con toda el alma de Dragon Quest. Square Enix ha recreado con Dragon Quest Heroes 2 una gran continuación del que, para muchos, es el mejor juego musou de la presente generación. Novedades tan interesantes como la llegada de nuevos personajes (muchos de ellos extraídos de la propia saga), las nuevas medallas de monstruos y, sobre todo, el modo online cooperativo para cuatro jugadores no hacen otra cosa que mejorar todavía más la experiencia de juego. Parte del factor sorpresa del primero se ha perdido, porque, a la hora de jugar, todas sus señas de identidad siguen ahí... Eso sí, todo pulido y mejorado, y con interesantes añadidos, como el multijugador o los nuevos personajes, que le dan nuevos aires para que logre enganchar igual de fuerte. Dejando atrás esos problemas, Dragon Quest Heroes II es una gran mejora conforme al juego original y demuestra aún más el potencial que hay en la franquicia para incursionar en géneros de acción. El hack-and-slash que ofrece es muy gratificante y, a decir verdad, adictivo una vez que encuentras la combinación ideal de personajes, armas y habilidades. Apretar botones en secuencia durante horas es muy divertido, en especial si lo que buscas es un juego para desestresarte. Al final es una carta de amor para los fans, que conserva la esencia de la serie y le da un nuevo propósito, con ayuda de una presentación visual sorprendente. Obwohl man im Kern immer noch auf die guten alten Massenkämpfe setzt, hat man den Weg zum Action-Rollenspiel, den man mit dem Vorgänger begann, hier konsequent weitergeführt und all das, was man bislang eher verächtlich mit den Warriors-Spielen assoziierte, in den Hintergrund gerückt. Dans l’ensemble, Dragon Quest Heroes 2 arrive à combler toutes les lacunes du premier épisode. Néanmoins, difficile de ne pas y voir plutôt un Dragon Quest Heroes 1.5 qui s’est contenté de faire un peu mieux que son prédécesseur. Cela ne lui enlève en rien ses qualités, mais si les fans ardus se jetteront sur ce nouvel épisode, d’autres risquent de passer leur chemin qui à attendre que le jeu baisse de prix. Si Dragon Quest Heroes II ne surprendra personne, il est efficace dans ce qu'il propose : un gameplay accrocheur et des effets visuels dans tous les sens. Certes, c'est répétitif et pas toujours lisible, mais le plaisir de jeu y est et c'est l'essentiel. La bonne chose, c'est que l'univers Dragon Quest fait le reste du travail avec son design particulier et un humour omniprésent, bien que les décors soient plus vides qu'à l'accoutumée. Ce n’est pas un hasard, vu le non-enthousiasme qu’il suscite, que Dragon Quest Heroes II ait été offert en pack avec le I sur Switch au Japon. Il est intense au début pour ensuite retomber comme un soufflé. C’est peut-être mieux dans ce sens mais plus douloureux quand on se cogne sur le mur de l'agacement. En l'état, c’est une aventure tout à fait correcte dans tous les sens du terme. Ce qu’elle a perdu en à peine plus d’un an, c’est son panache. Dragon Quest Heroes 2 propose une expérience relativement similaire à la première, en y ajoutant toutefois des éléments novateurs qui pimentent l'expérience, l'améliorant considérablement. L'aspect RPG a été copieusement affiné et offre une ampleur démesurée ! De plus, la possibilité de jouer en coop' fait la promesse de très joyeux moments entre amis. Ce deuxième épisode est donc le digne successeur de son grand frère, qu'il surpasse, et il séduira sans aucun doute tous les fans de Dragon Quest... et même les autres ! Dragon Quest Heroes II esce forse troppo poco tempo dopo il suo predecessore (18 mesi). 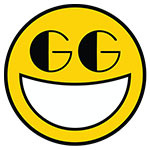 Il nuovo capitolo è infatti molto simile al precedente, con l’aggiunta del multiplayer cooperativo online e di pochi altri elementi di gameplay. Per il resto, la trama, pur essendo sulla carta diversa, ricalca ritmo e struttura della precedente e nel mondo di gioco il riciclo di mostri e personaggi è decisamente evidente. 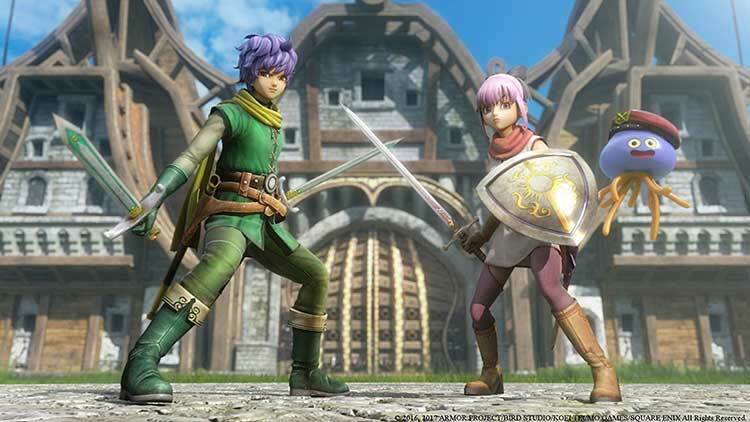 Nonostante l'ottimo sistema di combattimento migliorato dalle nuove medaglie, le tante opzioni disponibili nella gestione del party, la storia interessante e il cast variegato impreziosito dal character design di Akira Toriyama, Dragon Quest Heroes II soffre l'eccessiva ripetitività della sua struttura di gioco afflitta da un'intelligenza artificiale imbarazzante per nemici e compagni di squadra. Il risultato è un titolo tra i migliori esponenti del suo genere, ma che riesce solo in parte a limitare gli arcinoti problemi di musou. Nel complesso, però, il prodotto si lascia giocare e diverte: non lascerà nessun grande ricordo dal punto di vista della trama né dei personaggi, per la maggior parte già noti, ma grindare e combattere sarà così facile e immediato che quasi non potrete farne a meno. Son sözlerime gelecek olursam Dragon Quest Heroes 2 ilk bakışta çok gelişmiş ve farklı bir oyun gibi gözükse de normal bir mousou oyunu olmaktan öteye gidemiyor. Eğer mousou veya Dragon Quest’in koyu bir hayranıysanız bu tam sizlik bir oyun. Ancak bu türü sevmiyorsanız veya Dragon Quest ile pek aranız yoksa tavsiye etmiyoruz. Niet alle veranderingen en toevoegingen hebben dus helemaal goed uitgepakt, maar Dragon Quest Heroes 2 is echt een stap dichter bij de perfecte mix van musou en RPG. Sowieso is het nu al een geweldige game op audiovisueel gebied, met wat kleine minpuntjes. Wat betreft gameplay scoort de game ook een stuk beter dan zijn voorganger, maar hier mag ook nog het een en ander aan gesleuteld worden. Nu mis je soms wat afwisseling en is het RPG-element niet sterk genoeg. Dragon Quest Heroes II to krok w słusznym kierunku. Jednocześnie trochę szkoda mi elementów z poprzedniej gry, z których zrezygnowano na rzecz nowości. 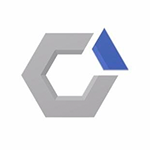 Jednak dobrze wiedzieć, że Omega Force ciągle eksperymentuje z formułą swoich dzieł. Położenie większego nacisku na aspekt RPG może okazać się kluczem do sukcesu tego tytułu. Tyvärr misslyckades Omega Force rätt så brutalt med att utveckla sin spelserie och istället fick vi en snabbt ihopslungad sörja som var sämre än föregångaren. Det lider av samma problem som tidigare, fast skillnaden den här gången är att spelutvecklaren har lagt till flera, onödiga aspekter som inte alls förhöjer spelupplevelsen. Dragon Quest Heroes II känns som ett rejält bakslag och jag har svårt för att rekommendera det här till någon.